This is the first translation ever to make available the complete corpus of 358 fables. Aesop was probably a prisoner of war, sold into slavery in the early sixth century BC, who represented his masters in court and negotiations and relied on animal stories to put across his key points. Such fables vividly reveal the strange superstitions of ordinary ancient Greeks, how they treated their pets, how they spoilt their sons and even what they kept in their larders. 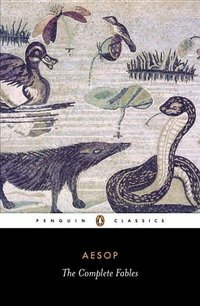 As these stories became well-known, 'Aesopic' one-liners were widely quoted at drinking-parties, and the collection eventually came to include more satirical tales of alien creatures - apes, camels, lions and elephants - which presumably originate in Libya and Egypt. All have now been brought together in this definitive and fully annotated modern edition.